So I took my love of my Cadbury Creme Eggs and went a little crazy this year and whipped up some cavity inducing recipes. First things first is the shake! 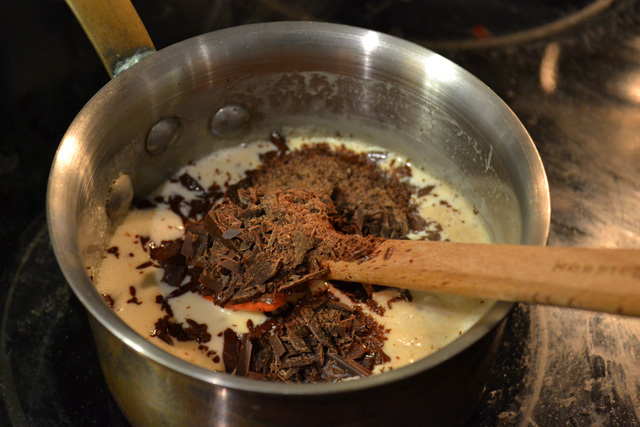 I was inspired by the Cadbury Shake in The Good Stuff Cookbook by Spike Mendelsohn. 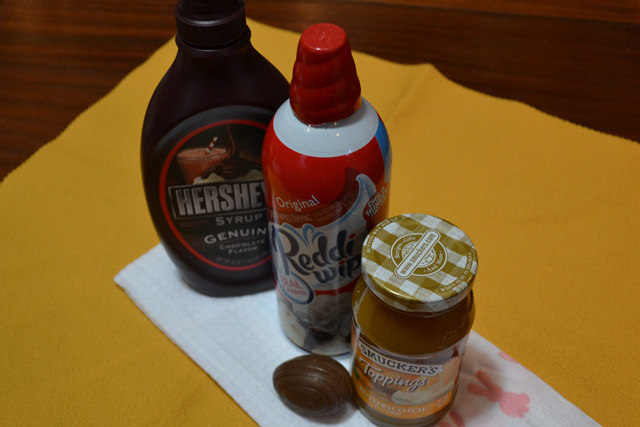 I thought it was all so much fun to make a Cadbury Creme Egg shake. I prefer a thinner constancy shake so I added some milk to the ice cream before blending. 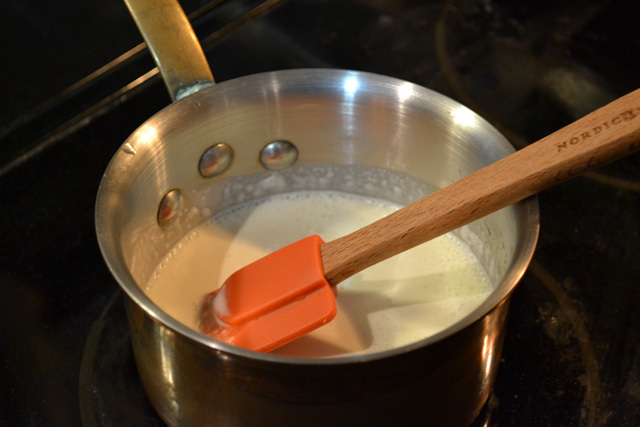 Adjust the amount of milk and butterscotch or chocolate sauce depending on preference. 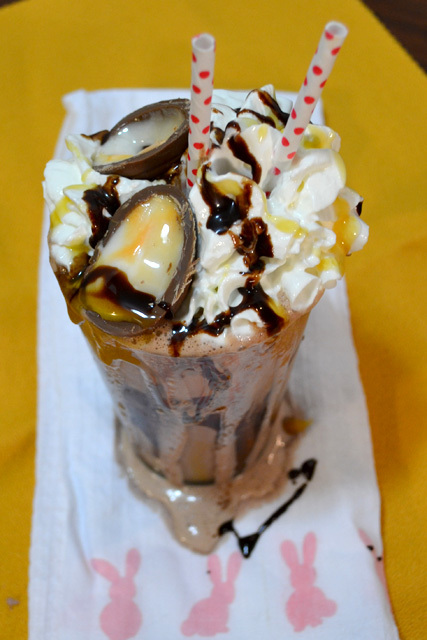 Enjoy your own or pour the shake into a big glass and share with someone who loves Cadbury Creme Eggs as much as you! Halve the Cadbury Creme Egg by cutting lengthwise, set aside. 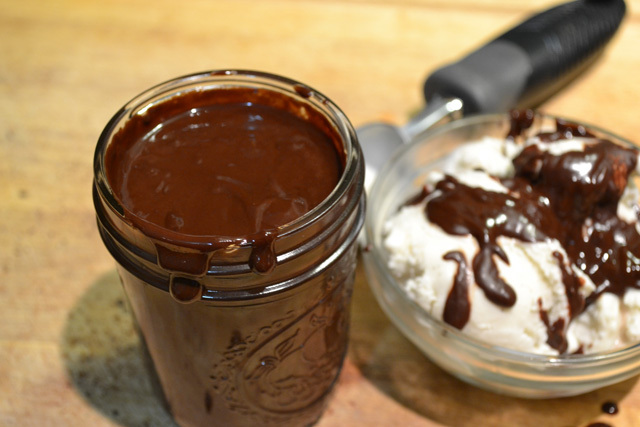 Drizzle some butterscotch sauce and chocolate sauce onto the sides of the glasses. 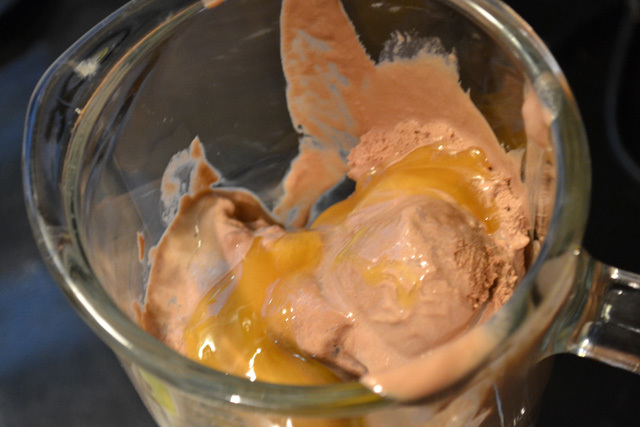 In a bender, combine the ice cream, milk, and the butterscotch and chocolate sauces. Blend until smooth, about 30 seconds. Pour the blended shake into the prepared glasses and top with whipped cream. 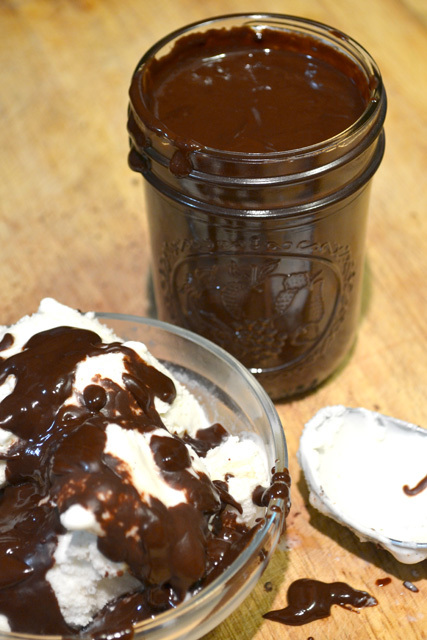 Place a half of the Cadbury Creme Egg into the whipped cream and then drizzle some more of the sauces on top for good measure.